MANILA, Philippines - The University of the Philippines- Diliman (UPD) topped universities in the country in the global ranking of universities' web presence, impact, openness and excellence, the Spanish National Research Council’s Webometrics Ranking of World Universities 2016 reported. UPD ranked 1387 in the world (down by 31 spots compared to last year) out of over 23,000 higher educational institutions included in the list. The rankings are based on publicly available web data on various universities, and uses link analysis for quality evaluation "as it is a far more powerful tool than citation analysis or global surveys," the council's Cybermetrics Lab said. 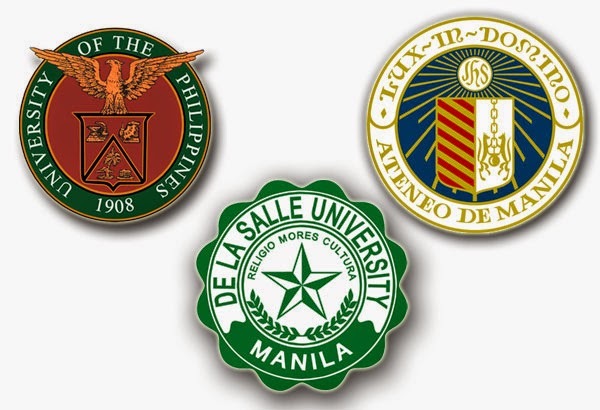 UPD is followed by De La Salle University (DLSU) - Manila (2064), University of the Philippines Los Baños (UPLB) (2300), University of the Philippines - Manila (UPM) (2591) and Ateneo de Manila University (ADMU) (2800). The top 10 list of schools also includes UP System, University of Santo Tomas (UST), University of San Carlos (USC), John B Lacson Foundation Maritime University and Silliman University. The country's leading institution UPD was also ranked 1,263 in the list of Top 2000 Universities by Google Scholar citations while DLSU Manila is on 1,467th. Since 2004 and every six months an independent, objective, free, open scientific exercise is performed by the Cybermetrics Lab to promote global access to academic knowledge produced by universities and institutions worldwide.